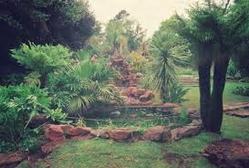 We offer garden design services that closely revolves around the creation of plans regarding layouts, planting of gardens, landscaping and other necessary parameters. The above are help in providing a calm and soothing surrounding or environment. The process of garden design services is also an art that closely revolves around the creation of plans regarding layouts, planting of gardens, landscaping and other necessary parameters. We offer terrace gardening services. A terrace has become an ideal place to develop a personal space for a garden and outdoor living. Terrace garden provide a new way to be surrounded by nature and provides a beautiful transition between hard materials of architecture and softer ones of the garden. These garden sheds are available in different color options and other parameters as per user's specific needs. We offer indoor plants. These plants are one of the popular indoor decorations. Attractive & constantly changing, they indoor plants help in adding a soft line as well as a bit of nature indoors. Indoor plants also help in purifying indoor air by filtering toxins naturally.